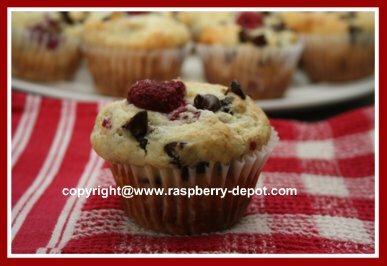 These Easy Chocolate Raspberry Muffins (see all the pictures!) 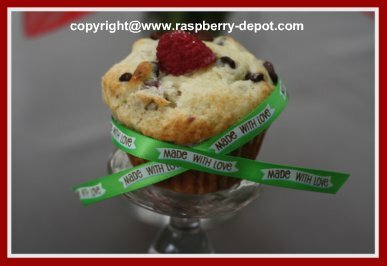 are very easy berry muffins to make for kids! 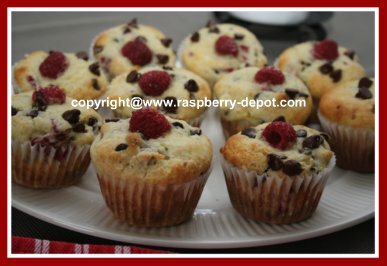 Combining fresh raspberries with chocolate chips make these muffins simply irresistible. 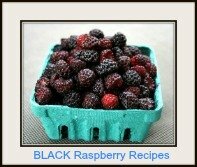 If you have blueberries or strawberries (sliced) on hand, simply substitute those berries in the place of the raspberries! These muffins freeze well too! 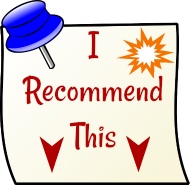 Ensure they are stored in a sealed container, or individually wrapped in plastic. I like to double-wrap them to be sure to keep them as fresh as possible. Then ... they are ready when you are! 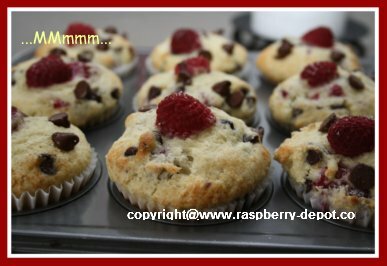 Yummy Homemade Chocolate Raspberry Muffins! 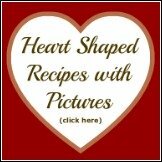 A nice recipe idea for Mother's Day, Father's Day, or for Valentine's Day too. The "red" of these berries, and the chocolate make these muffins look almost festive! These muffins have eye appeal AND sure do take the taste buds for a trip! 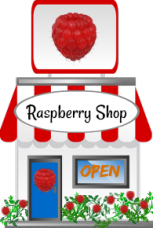 Note - If you prefer you can use fresh blueberries or fresh sliced strawberries in the place of the fresh raspberries. In a large bowl, combine the flour, baking powder, salt and the sugar, and mix together with a whisk or a fork. Gently stir in the chocolate chips and the berries, being careful not to break up the berries too much. In a smaller bowl, lightly beat the eggs with a fork, then beat in the milk, oil, and vanilla extract. Add the wet (egg mixture) to the dry (flour) mixture and stir gently until just combined. Do not over-mix. Spoon the muffin batter into greased or paper lined muffin baking tin. 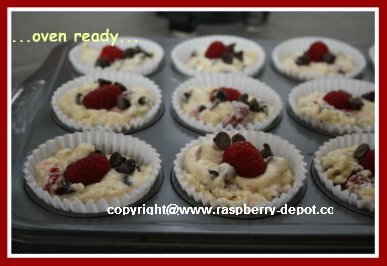 If desired add a raspberry and a few chocolate chips to the tops of each of the muffins, and press down lightly. Bake at 400° for about 18 - 20 minutes or until muffins are risen, golden, and firm to the touch.